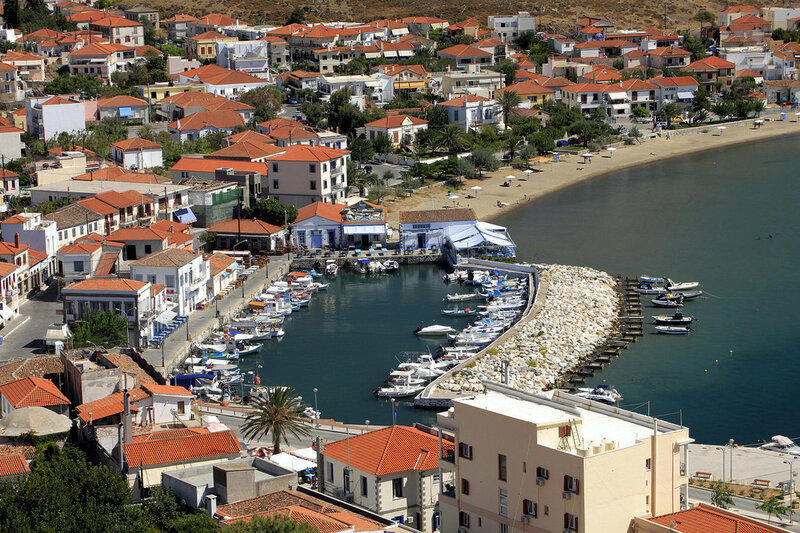 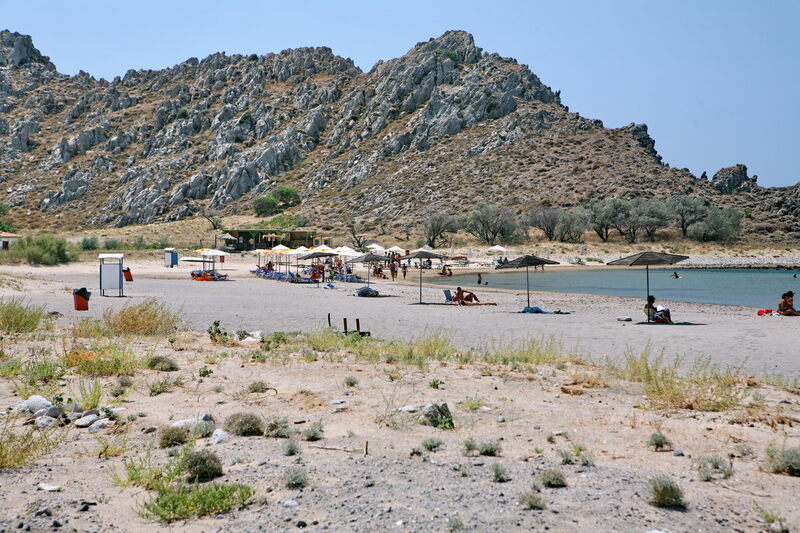 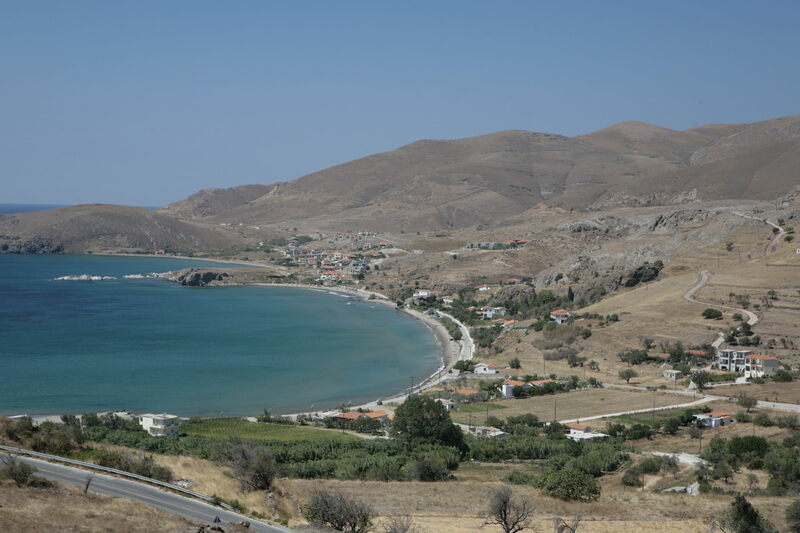 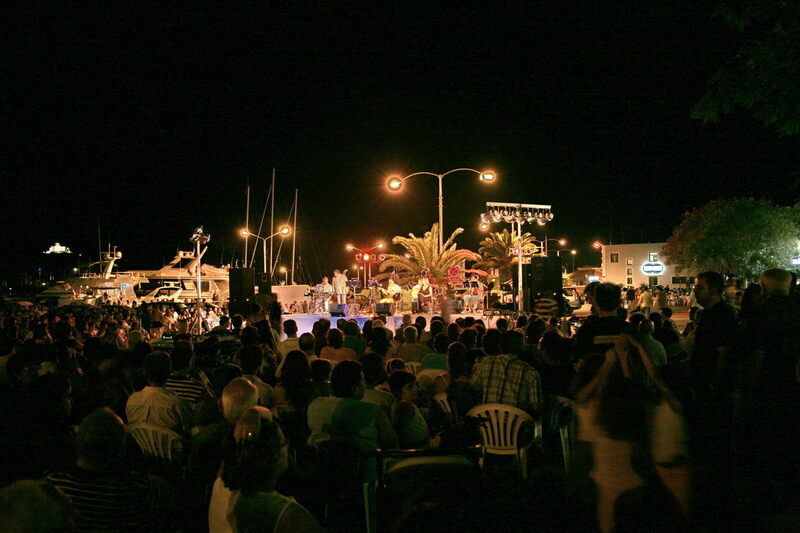 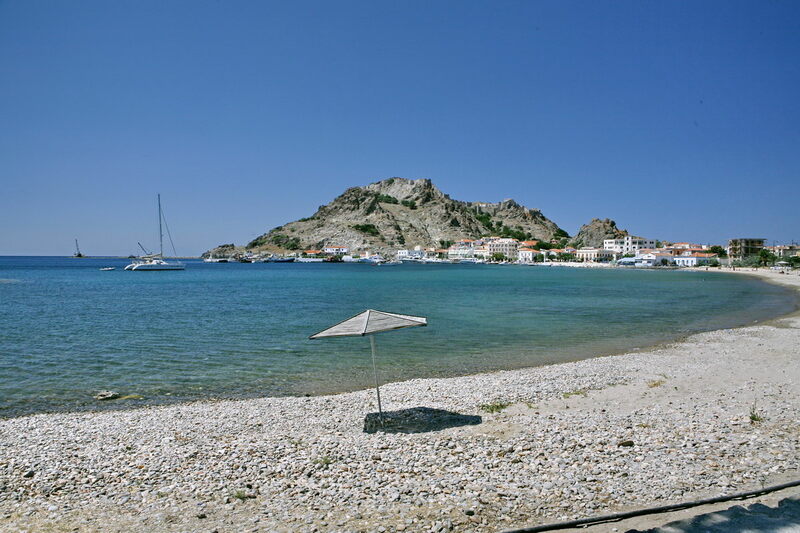 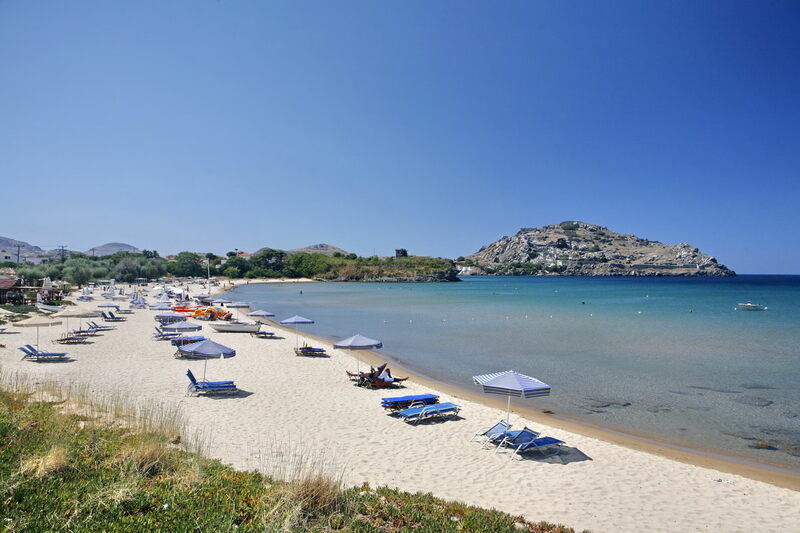 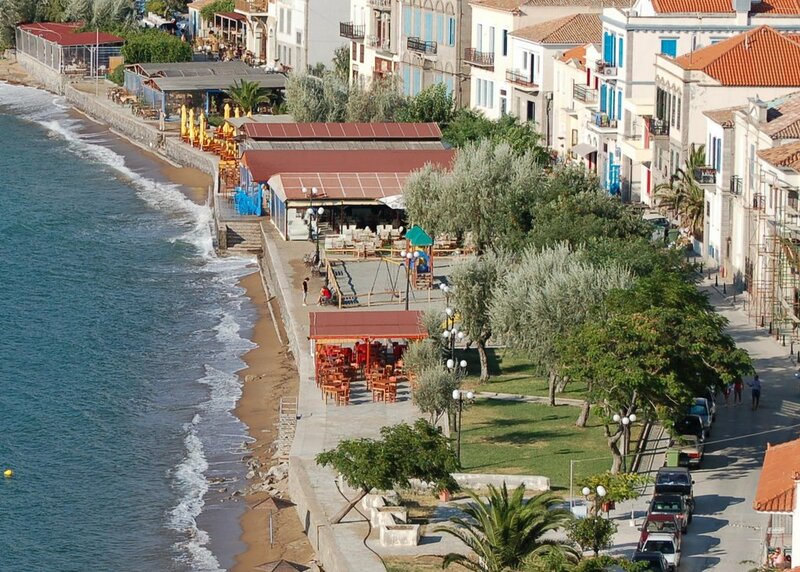 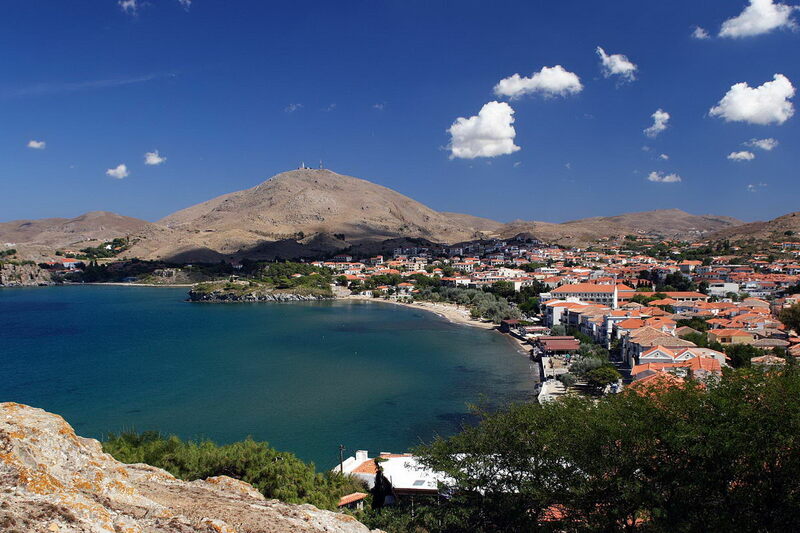 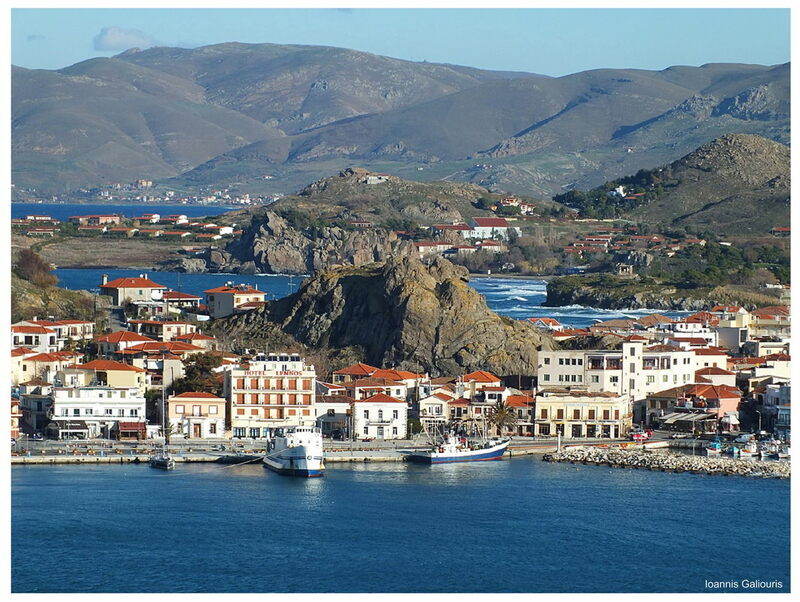 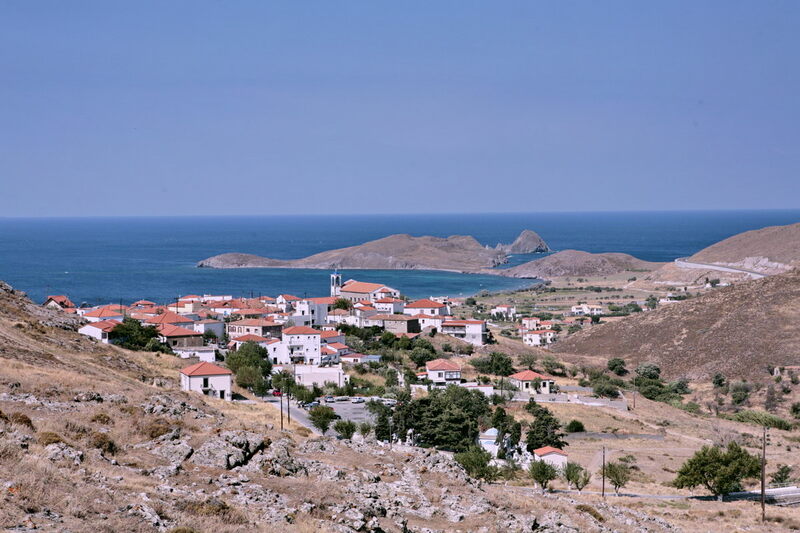 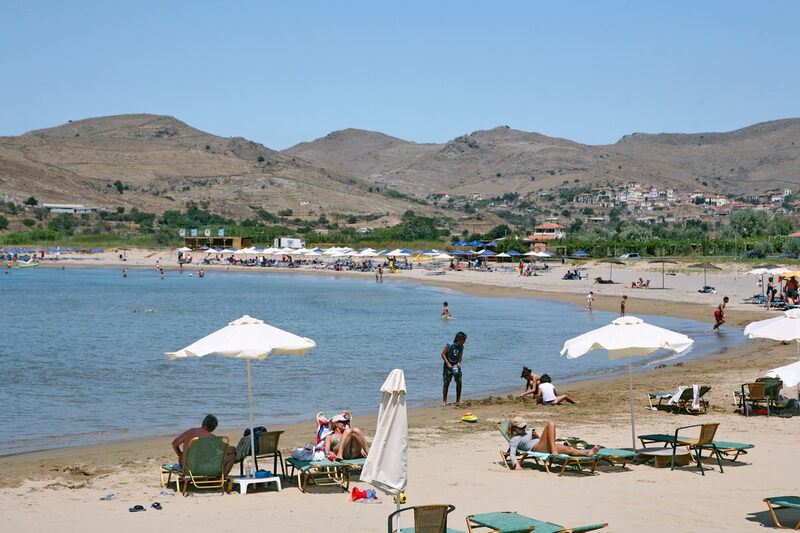 Municipality of Myrina is one of the forth municipalities of Lemnos island. 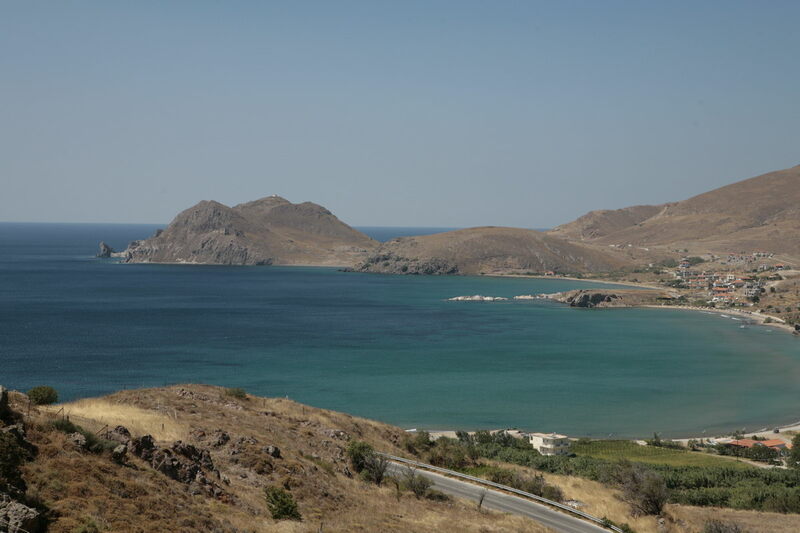 Covers the western side of the island. 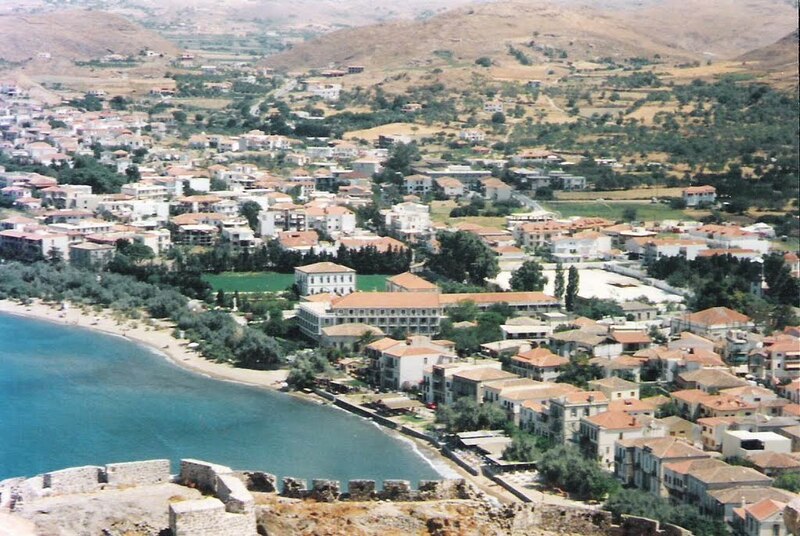 Capital city is Myrina. 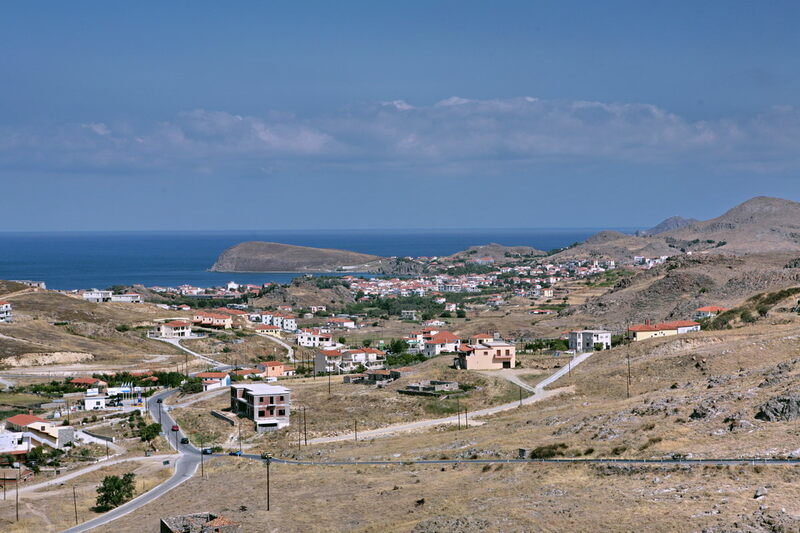 From 1998 municipal departments of Plati, Kaspakas and Kornos belongs also to the municipality. 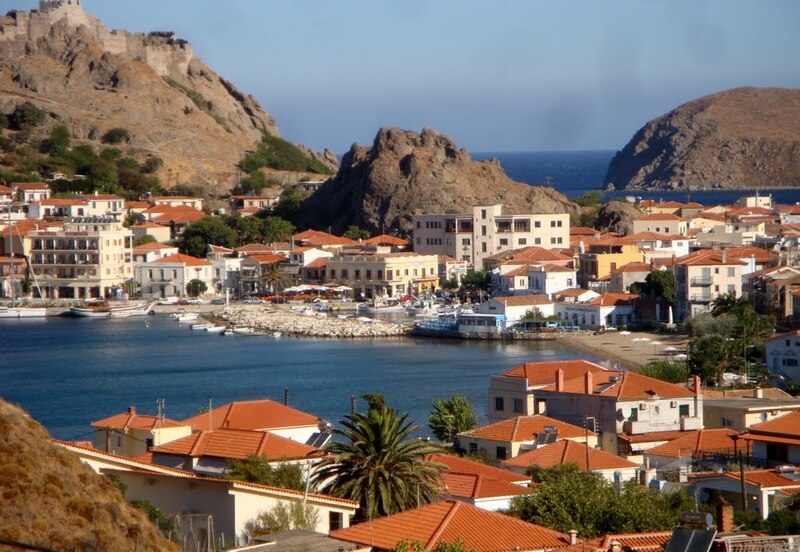 The name came from Myrina, daughter of kind Krithea and husband of the first king of Lemnos, Thoantas. 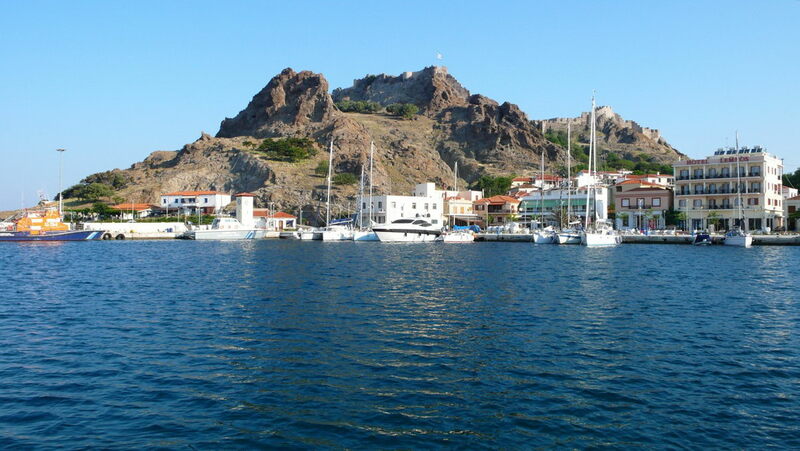 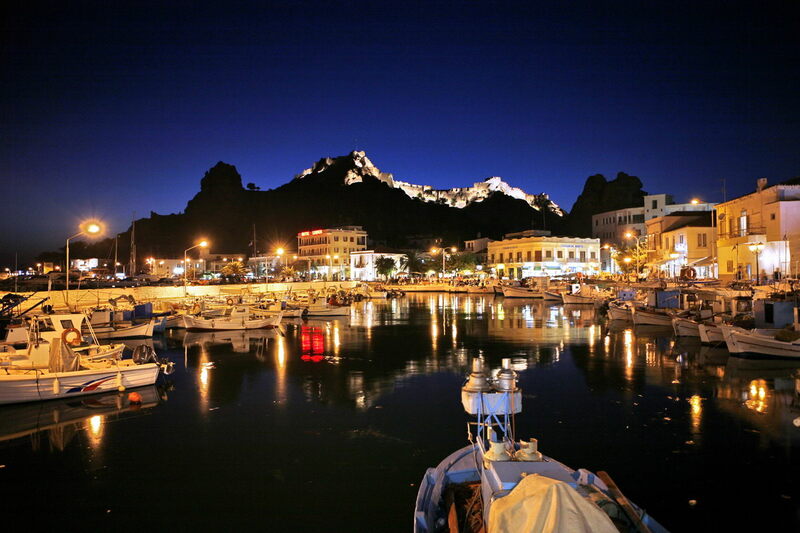 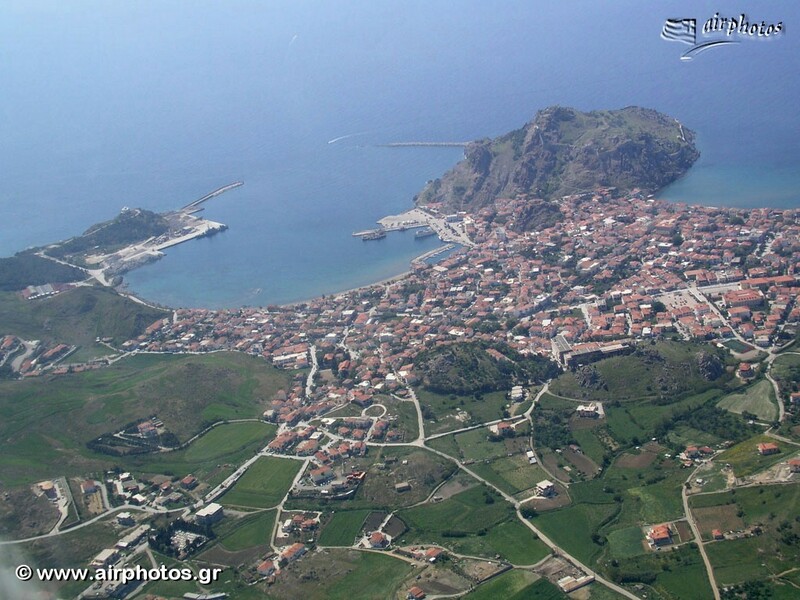 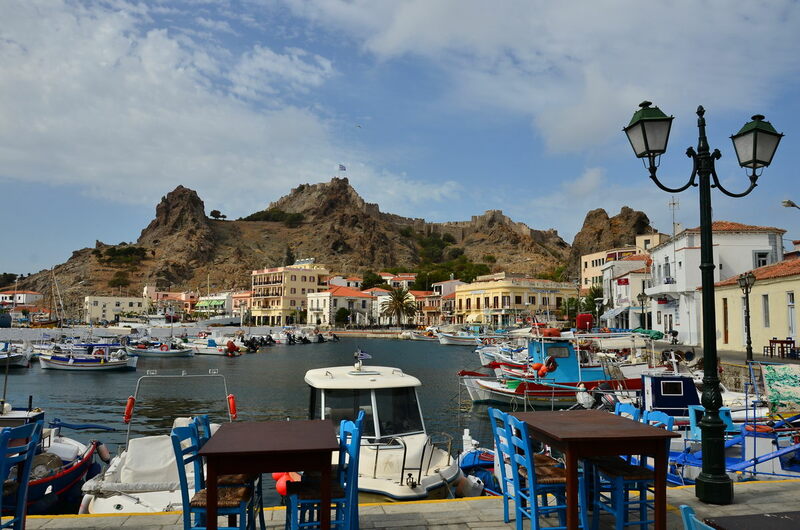 Was settled in 12th or 13th century when Minies was govern Lemnos and the first castle was built also. 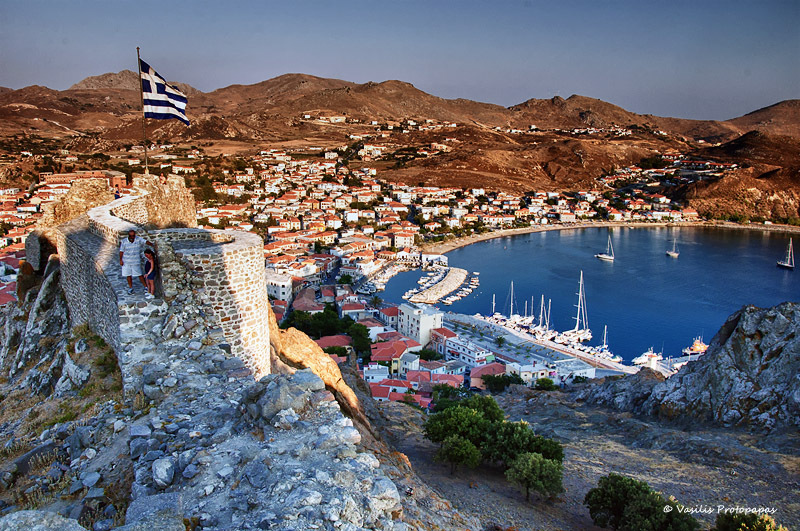 The castle that you see today was built in 1186 from Andronikos A’ Komninos. 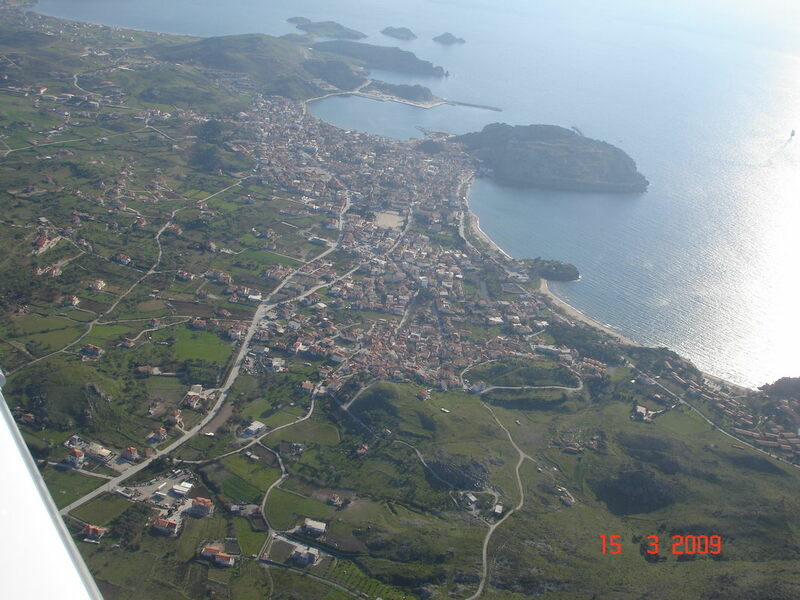 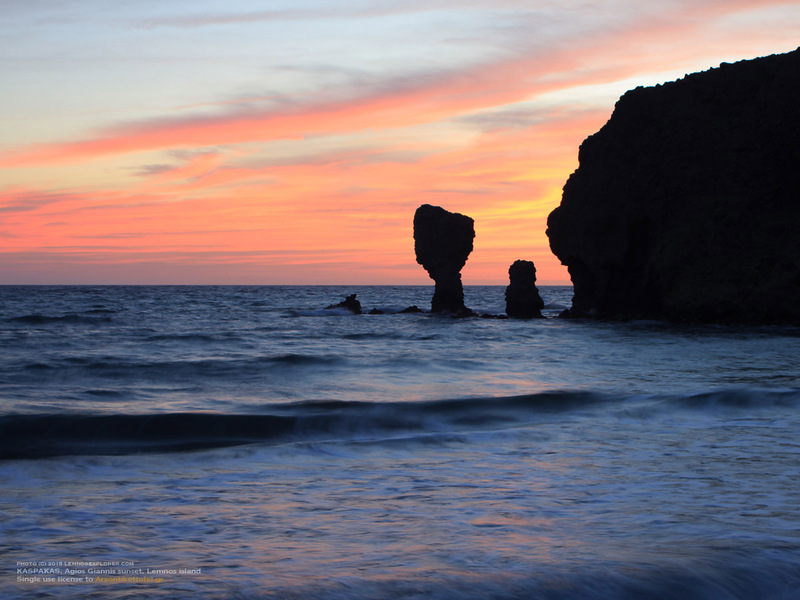 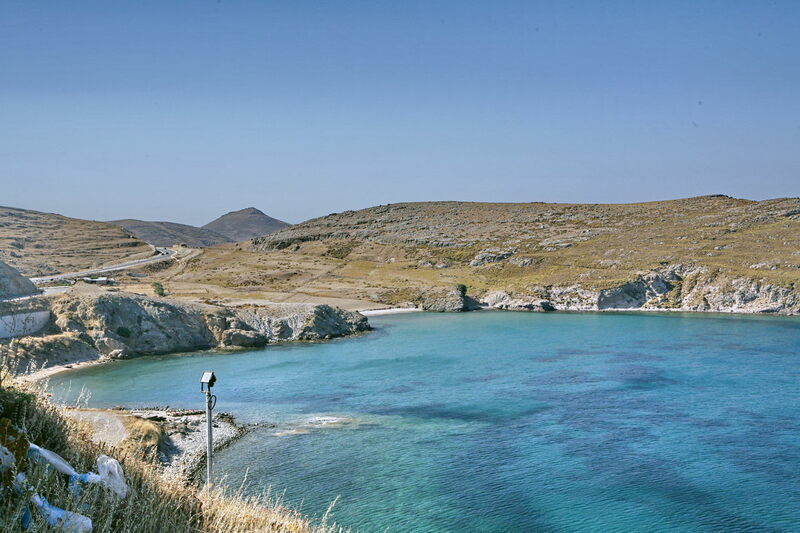 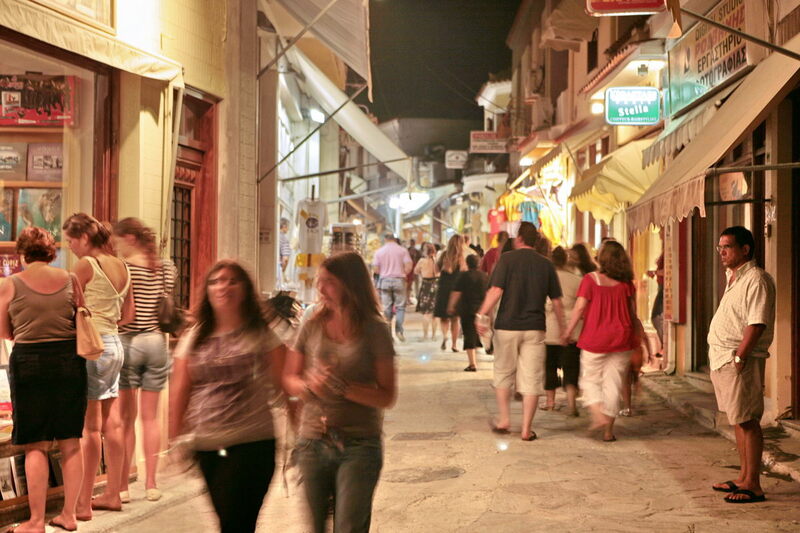 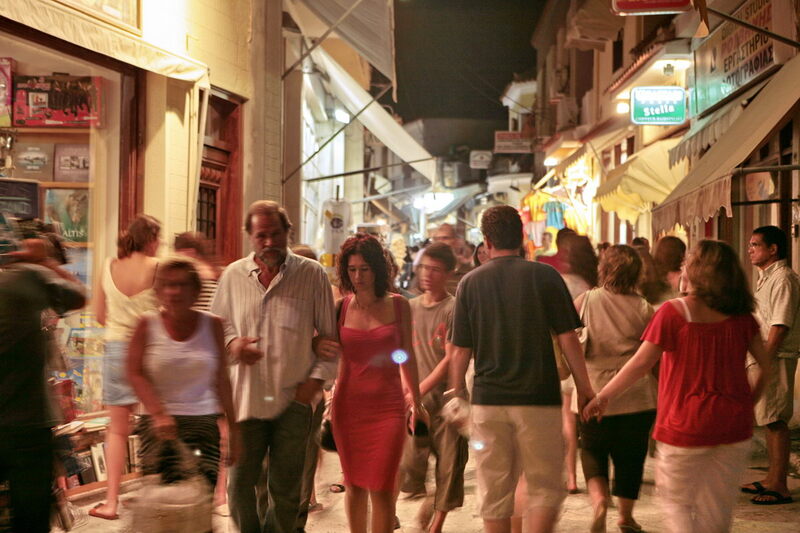 In 1276 the name Paliokastro was prevailed while a few years later renamed to Kastro again. 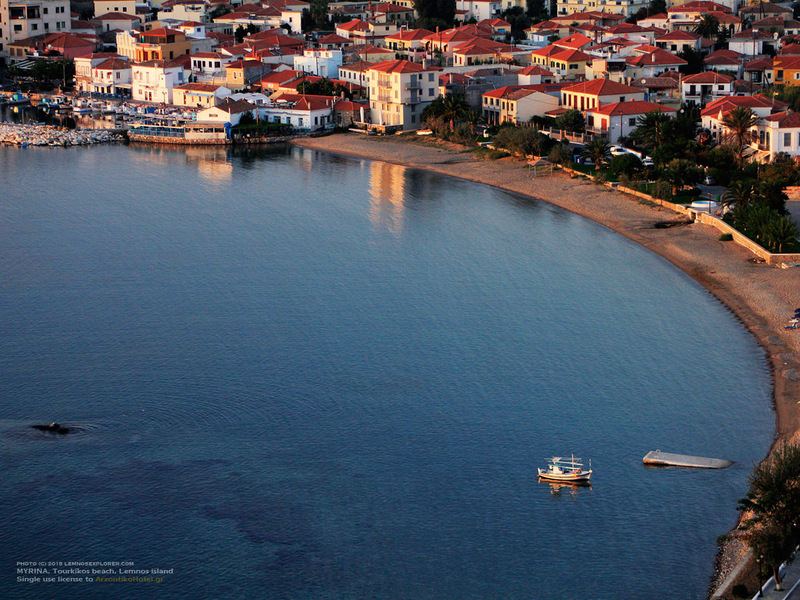 During middle ages and Byzantine years the city had the second position in the island after Ifestia and Kotzino. 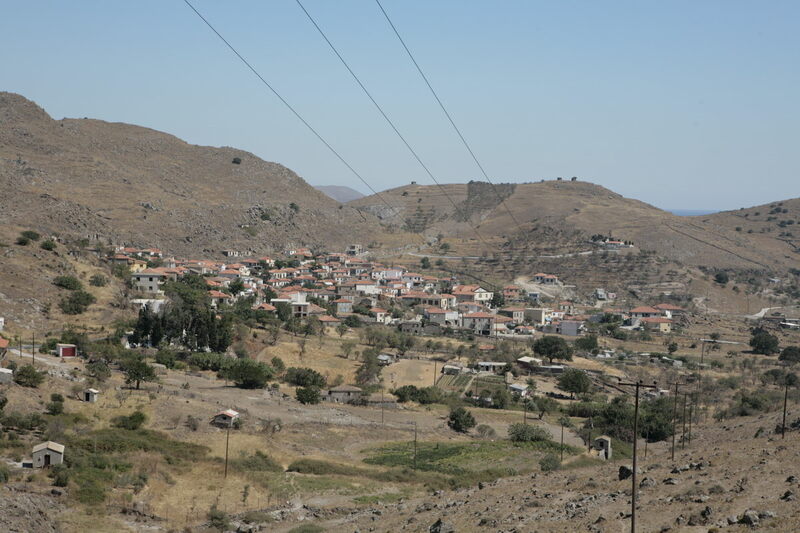 Myrina had the first place after Byzantine years and dyring Turkish occupation. 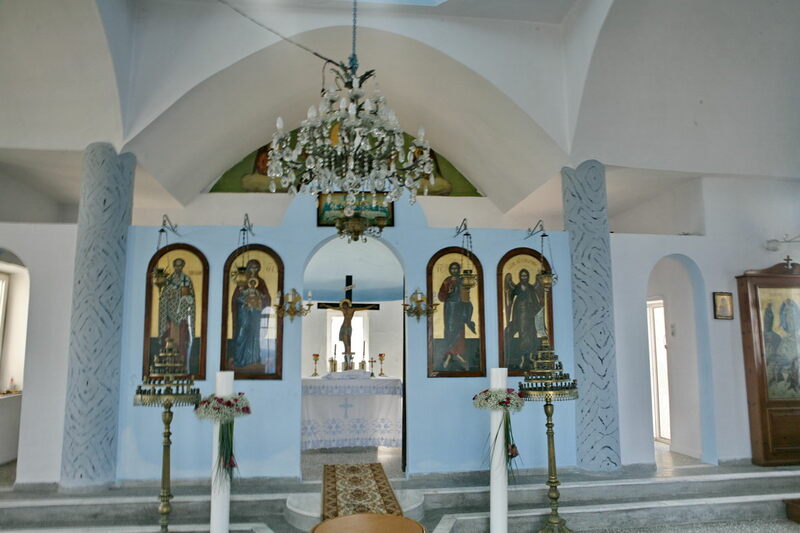 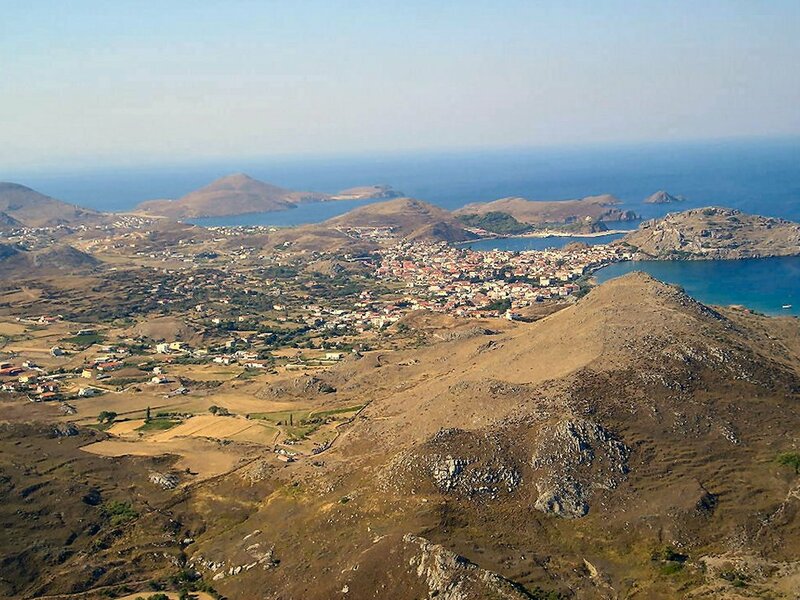 The name Kastro preserved till 1955 and then renamed to Myrina. 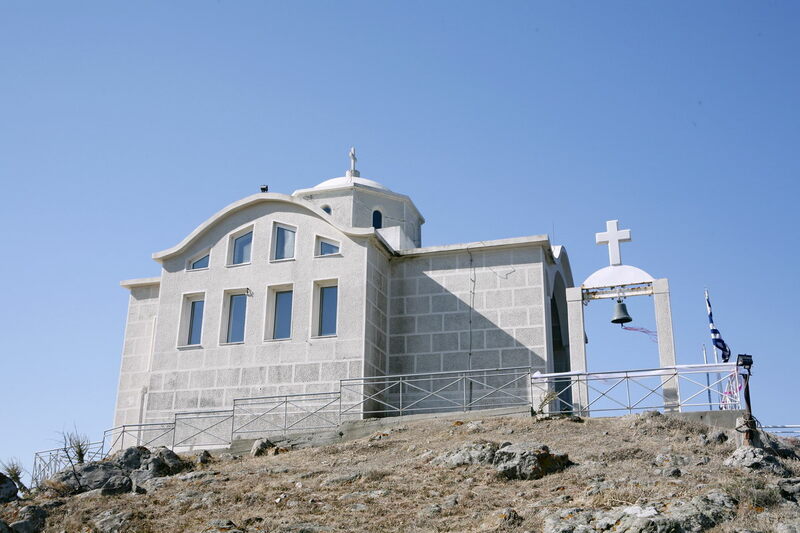 The contemporary city includes the areas Androni and Tsas that comes from the Russian word “observatory”. 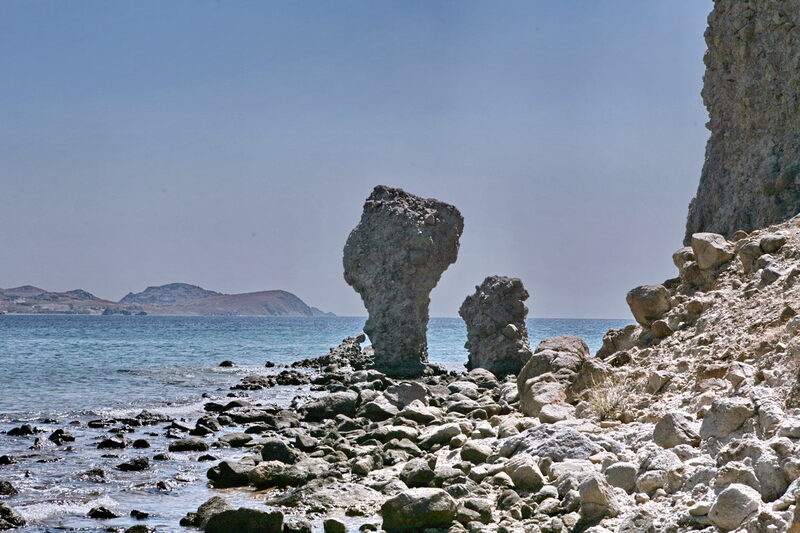 The rock that the castle is built on splits the beach of Myrina in two “shores”. 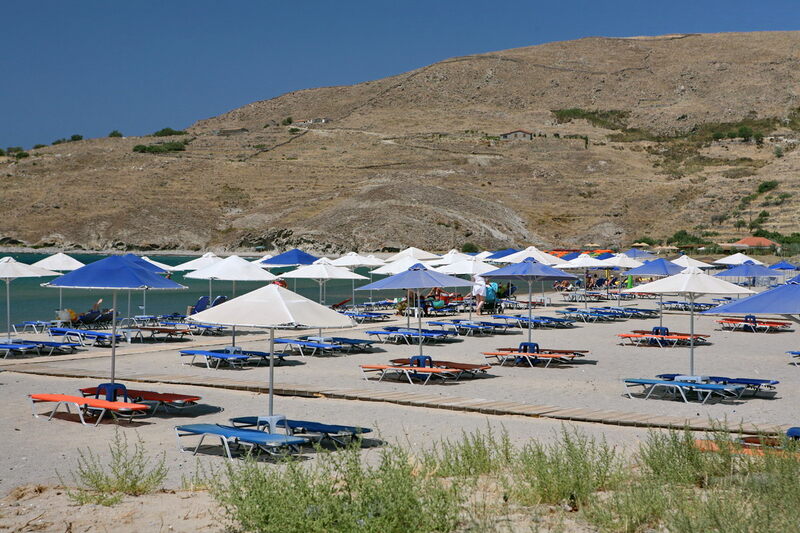 Romeikos Shore and Turkish Shore. 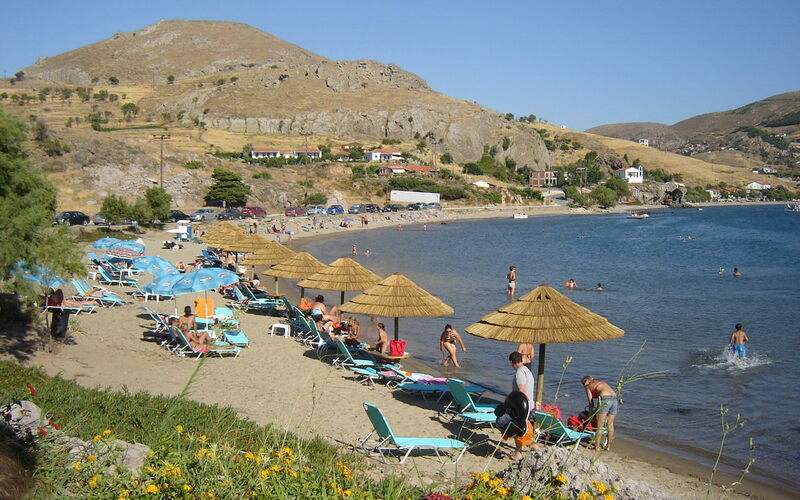 The Turkish shore took the name from the Turkish district of the area. 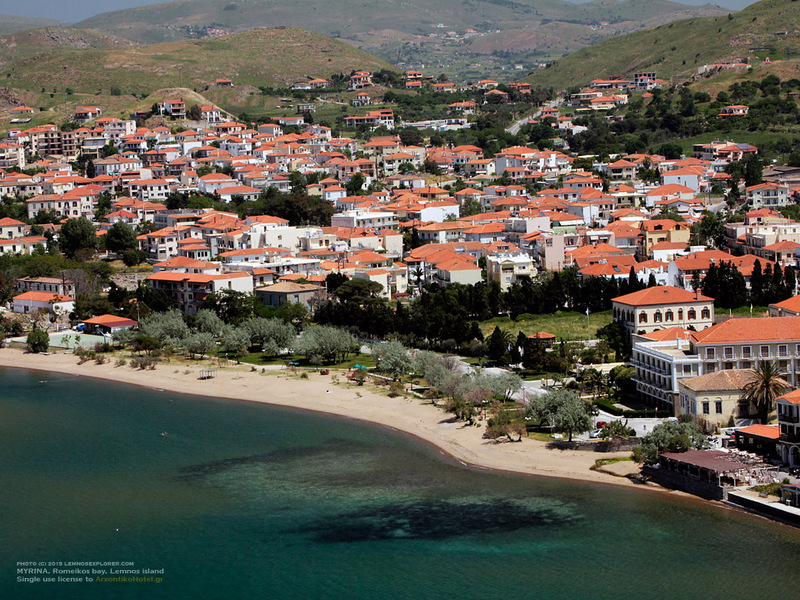 Romeikos Shore has a lot of new classical houses that belong to rich people that were settled in Egypt. 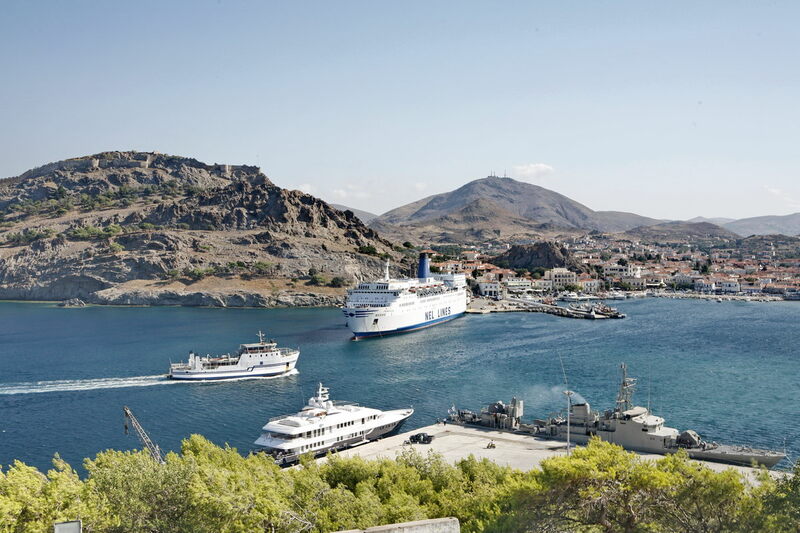 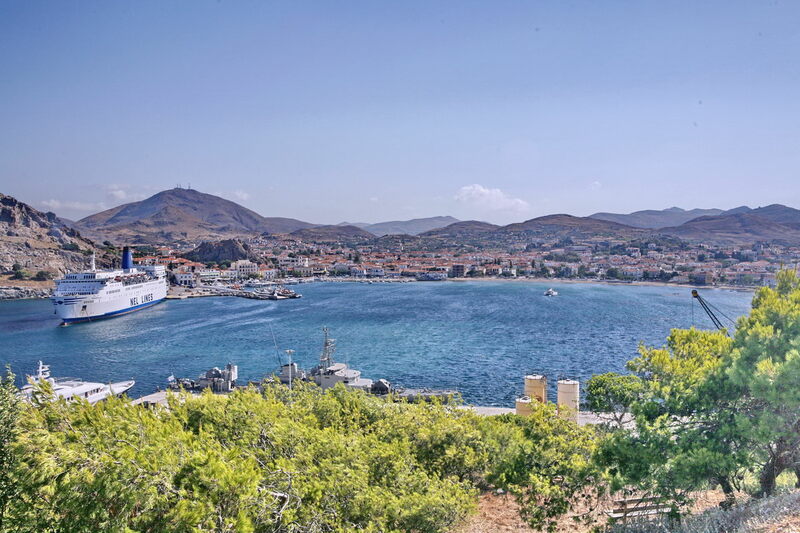 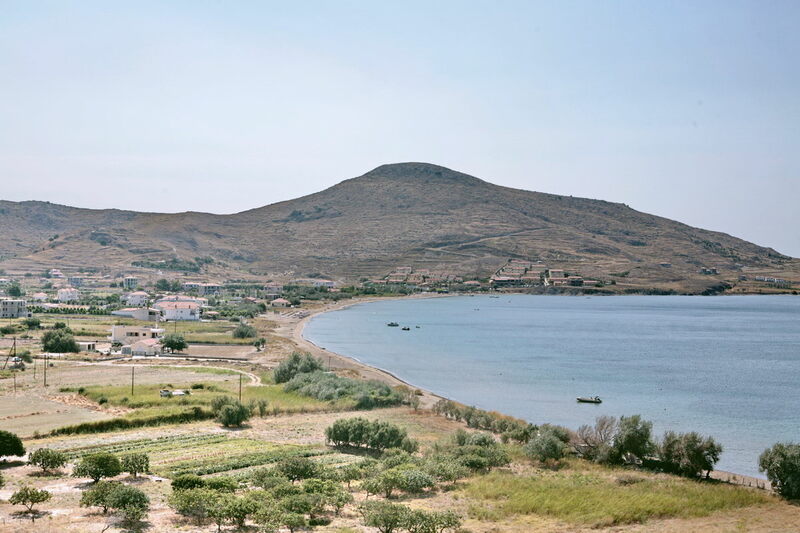 In Romeikos Shore there are also the Archaeological museum, Metropolitan of Lemnos, ecclesiastical museum and High School of Myrina. 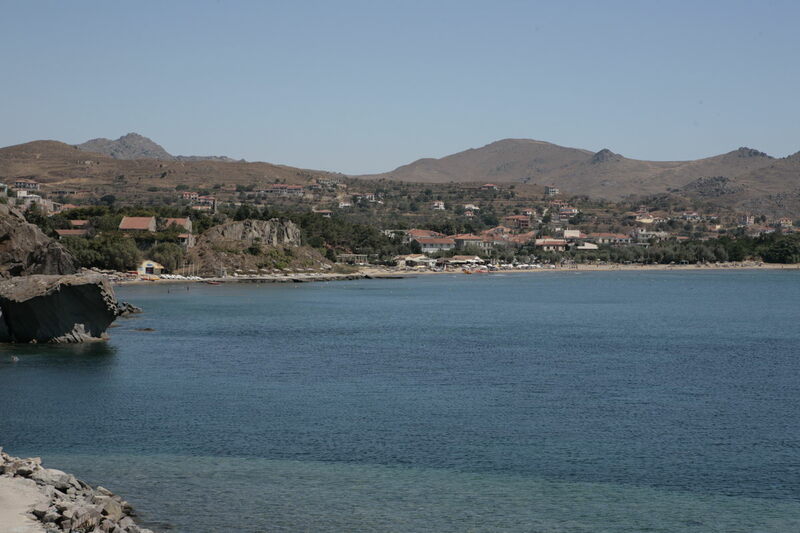 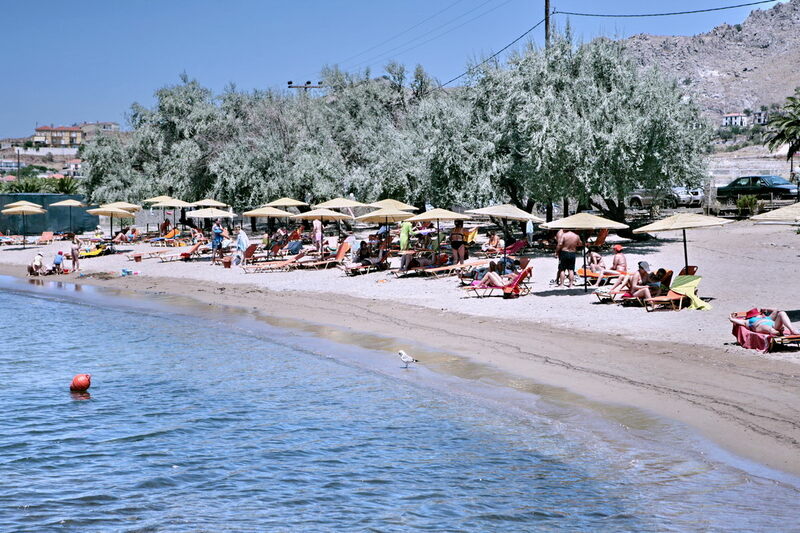 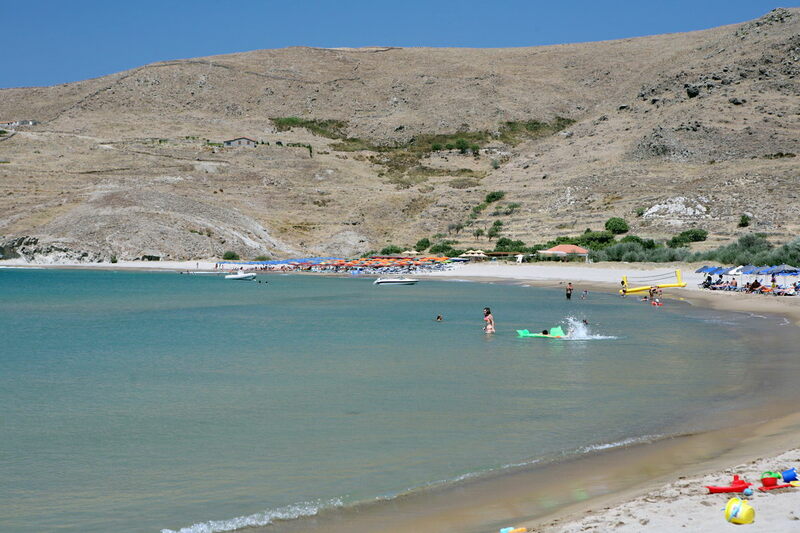 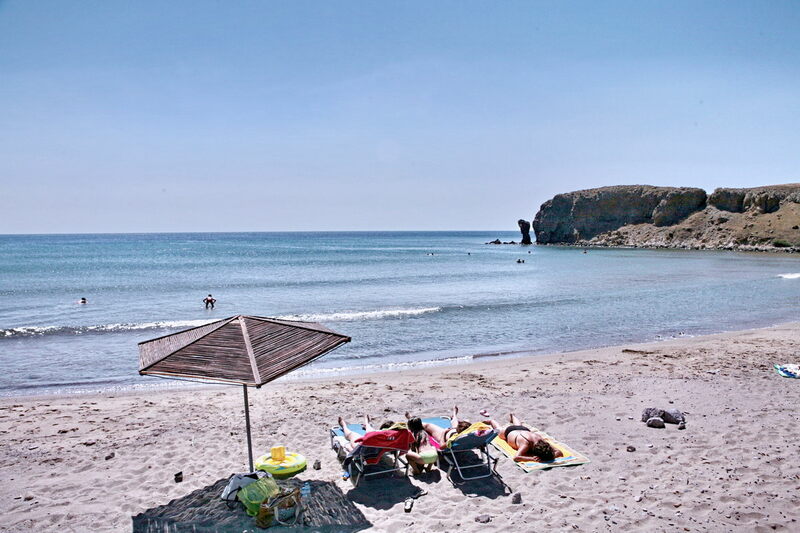 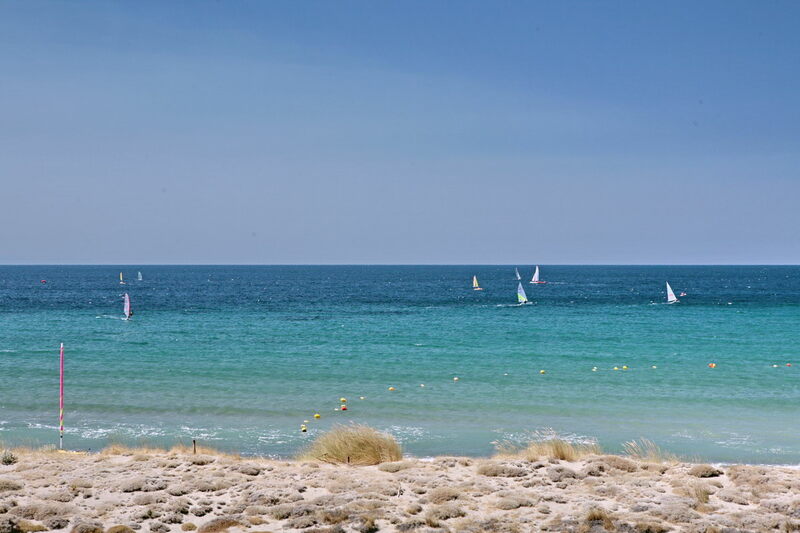 Continuity of Romeikos Shore is the coast of Riha Nera (shallow waters), a place that during summer is full of swimmers. 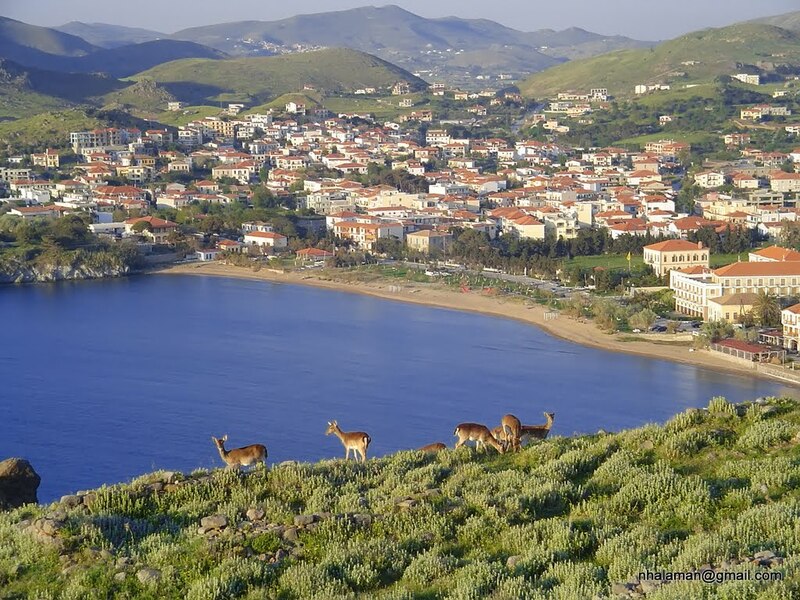 In the castle the visitor has the ability to admire a great number of deer, that live free. 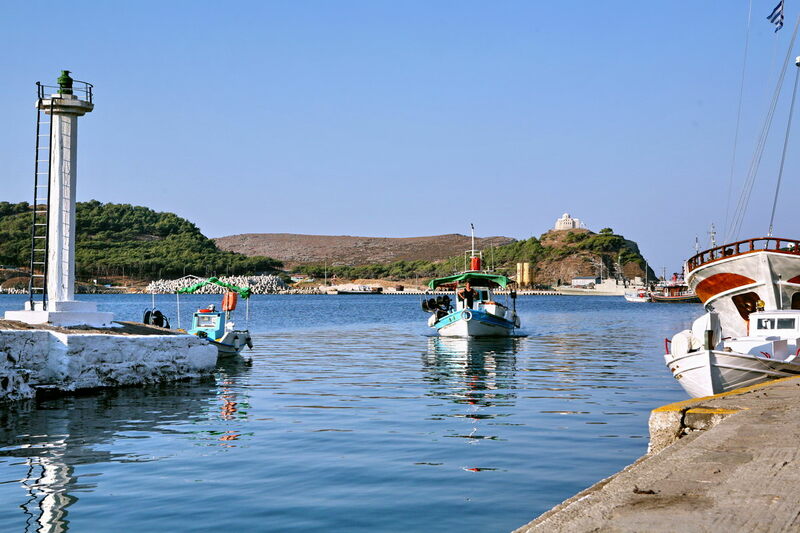 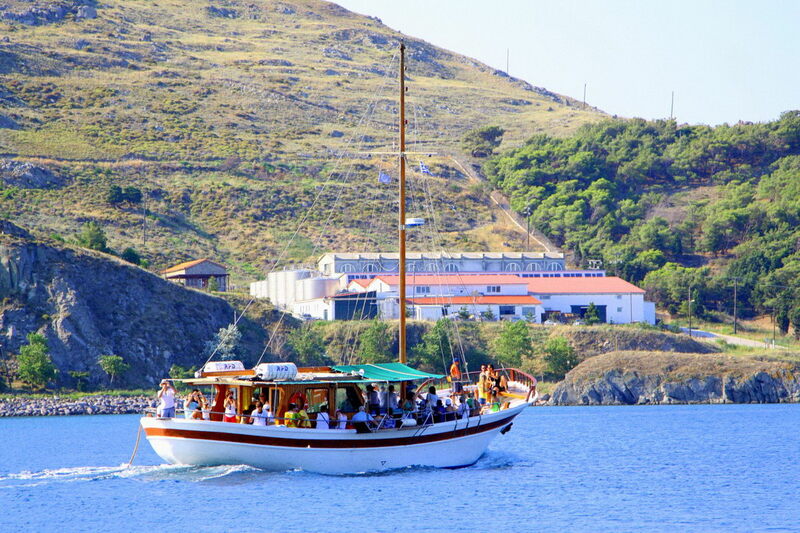 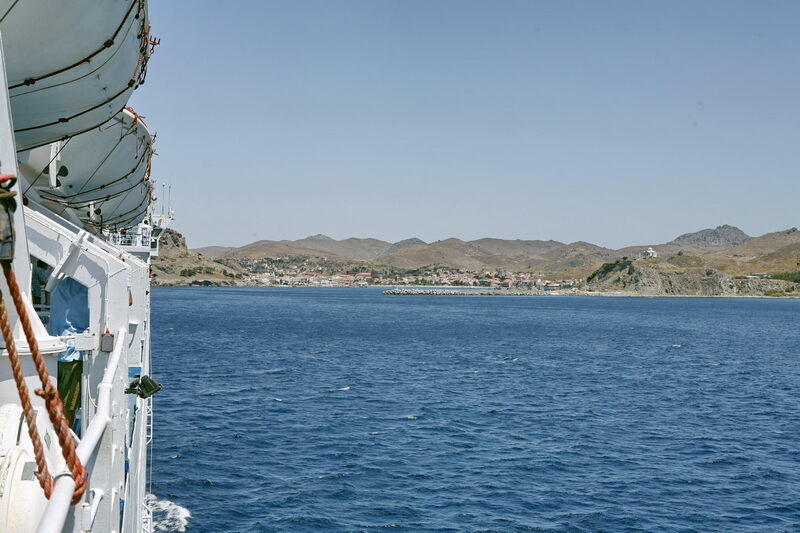 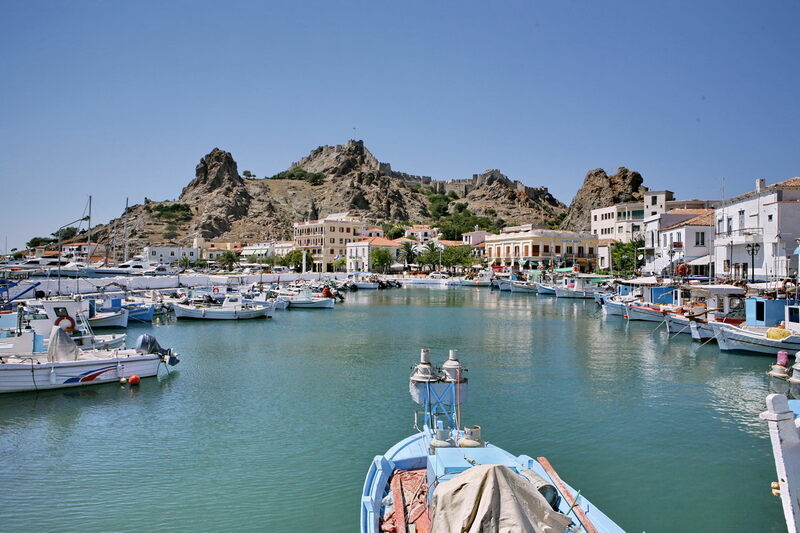 Ordinary scenes from the small port, taverns, traditional paths, the castle and the chapel of Agios Nicholas make create the picture of a special place. 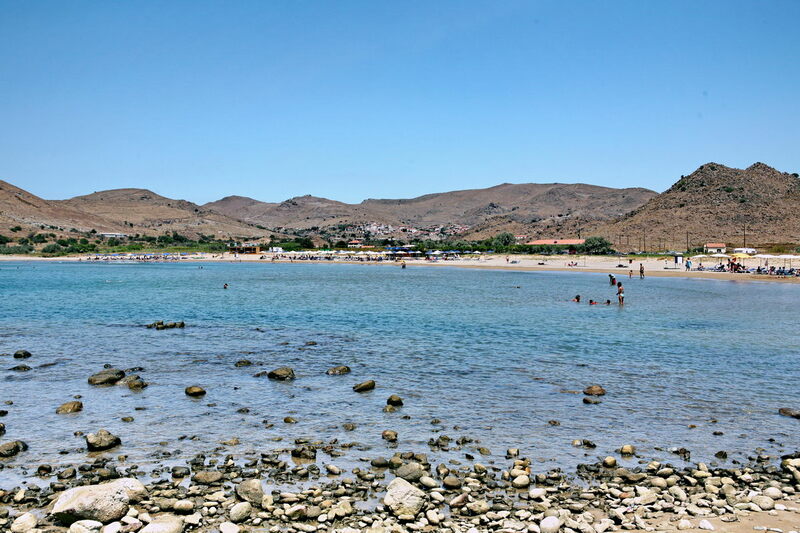 Romeikos Shore is the closest beach and Rixa Nera is the next one.